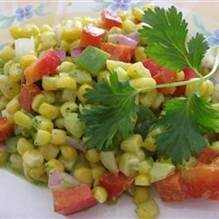 Here is a quick and easy side dish to serve with your father’s day barbeque. It’s light and fresh with a perfect amount of zest. Your guests will love it!